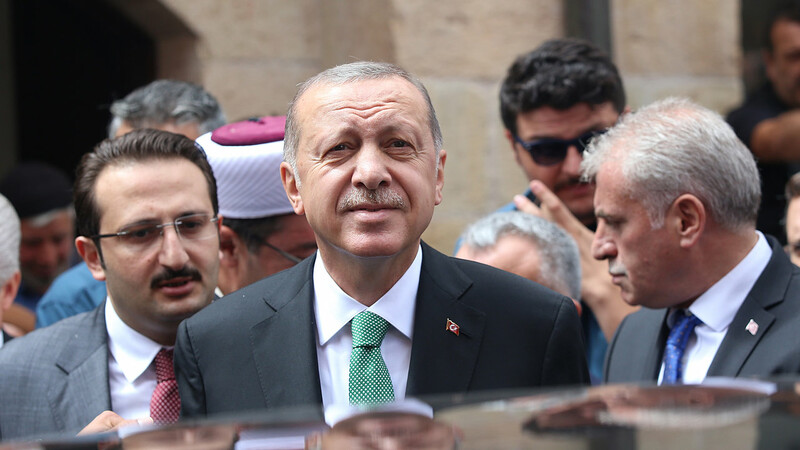 President Recep Tayyip Erdogan said Turkey’s partnership with the United States may be in jeopardy as ties strain, warning Ankara could start looking for new allies, in an op-ed published in the New York Times on Saturday. Relations between the two NATO allies have sunk to their lowest point in decades over a number of issues including the detention of US pastor Andrew Brunson on terror-related charges, prompting the Turkish lira to hit record lows against the dollar. The embattled lira tumbled 16 percent against the dollar on Friday, with US President Donald Trump saying he had doubled steel and aluminium tariffs on Turkey in comments that contributed to the currency’s further slide. In the New York Times, Erdogan warned Washington not to risk relations with Ankara, saying otherwise his country would look for “new friends and allies”. “Unless the United States starts respecting Turkey’s sovereignty and proves that it understands the dangers that our nation faces, our partnership could be in jeopardy,” he wrote. “Before it is too late, Washington must give up the misguided notion that our relationship can be asymmetrical and come to terms with the fact that Turkey has alternatives,” he said. Erdogan downplayed the currency crisis in a speech on Friday, advising Turks not to be worried over exchange rate fluctuations. He also said Turkey had alternatives “from Iran, to Russia, to China and some European countries”. The arrest of US pastor Brunson since October 2016 has soured already deeply delicate relations with Washington. Trump has described Brunson’s detention as a “total disgrace” and urged Erdogan to free him “immediately”.